I was awake by 4:45am, not by choice. 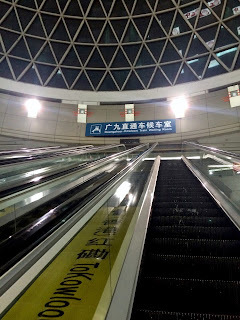 It was still dark outside and I caught the first subway train to go to Beijing North train station. 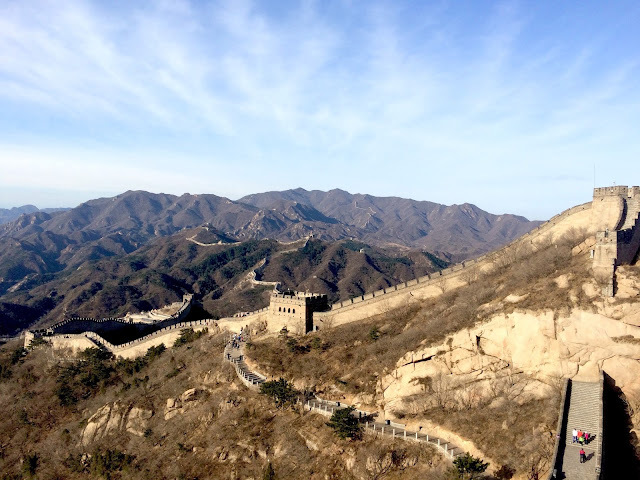 Then I changed to the S2 train at 6am to go to the Great Wall’s Badaling section. I thought there would be less people since it’s stupidly early, but nooooooo, the train was packed full, and people were standing. There were families with children and older people, there were groups of college kids with backpacks and bags of cup noodles. The train left 2 minutes earlier than scheduled. Soon some train employees started selling fresh popcorn, cup noodles, snacks, beer, and water. How they managed to push that cart through the carriages, I have no idea. I had to stand the entire 1.5hrs to had a great window view (while smelling fresh hot cup noodles at the early hours of 6am). 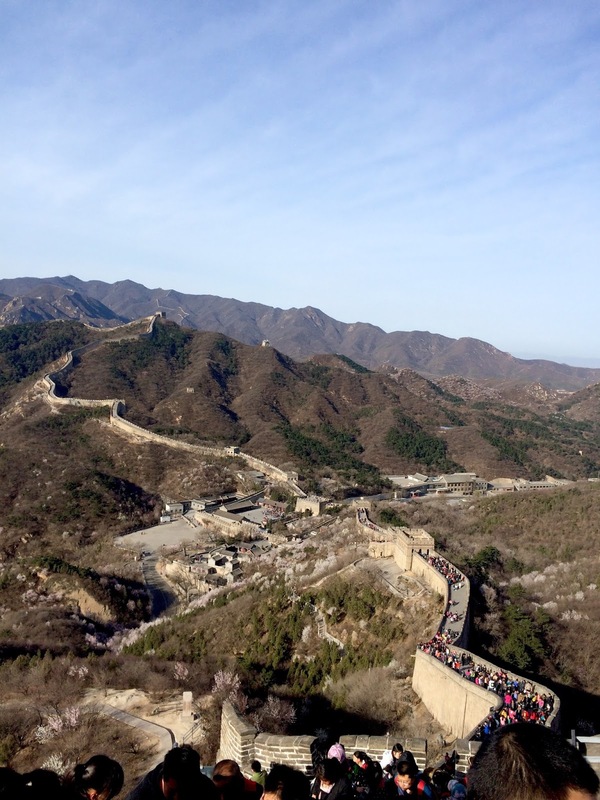 You could see other sections of the Great Wall on the way. The road traffic was also really bad. There were miles and miles of cars and large tour buses just stuck in traffic. Catching the train was a smart idea! I was hurried onto a shuttle bus after I got off the train. 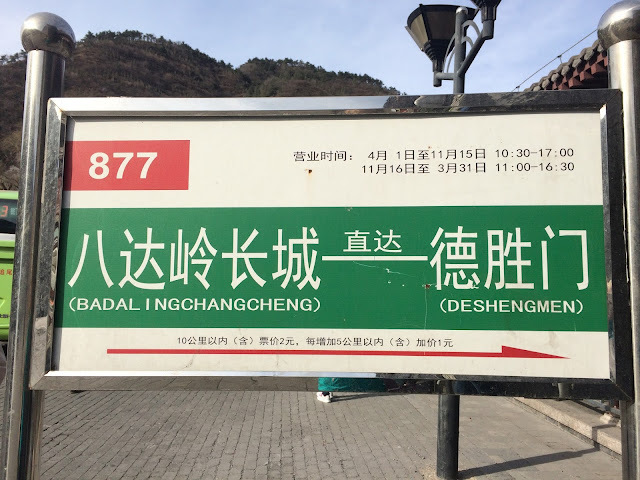 It drove us to the entrance on the Badaling Great Wall area, and to save time and avoid the crowds, I bought the cable car ticket to send me right up to sec. 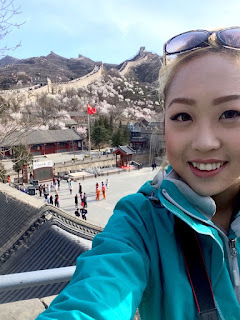 8 of the Badaling wall so I can walk down. There were just a few people at the top, but I could see an army of people climbing up from the ground. There were swarms of tourists by the time I got to the lower sections (around 3 or 4). Jeeze it’s 7:30am people! The S2 train only runs every 2 hours or so, and I missed the next train so I was waiting for the bus. Which is not another hour. A cab driver saw me waiting and asked if I wanted a lift. I paid around $120 yuan to get dropped off at the nearest metro station and then took the subway back to the city to buy myself some time. If I waited and took the bus, I wouldn’t have enough time before 4pm to see any of the other spots. The traffic was so bad, it was stuck all the way back to Beijing inner city which is like a 2hr drive without traffic! That's crazy. I was back at my hotel around noon. My 3rd SD card had ran out in memory so I changed that, chowed down some McDonalds and attempted to visit the Royal Palace again. It was 1pm, the tickets were sold out!!! I’m so disappointed, and mad at myself for not booking tickets online. It’s a long weekend and the whole of China is visiting their capital city. Tickets are $60 yuan and others were selling it for $300 Yuan, which is ridiculous. I’ll come back to Beijing again. 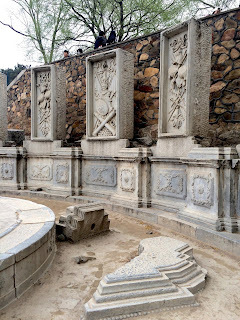 I tried my luck at the Old Summer Palace (圓明園) and success, I got in. 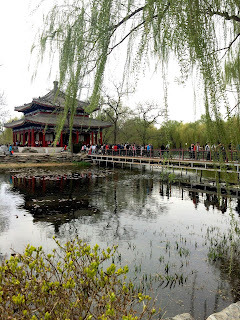 This garden was built in the Ching dynasty but was burned down by the Anglo/French army in the second opium war. 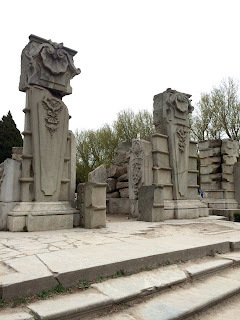 What is left now are rebuilt areas and then the famous Yuan Ming Yuan ruins (which is a separate ticket to enter). 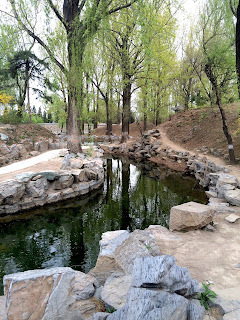 This garden was probably 4 kilometers by 2 Kilometers. Now you get what I mean by everything is massive in Beijing, the sheer size of what the Royals and what the Capital City of China is hard to imagine unless you’ve walked through it. There was also a hedge maze, but because there’s many tourists, it looked like a gigantic lab rat with people wandering around getting lost in the maze. It was a hilarious scene to watch. I was absolutely exhausted and returned to the hotel around 5pm. I ordered some room service. It was some disappointing food again. 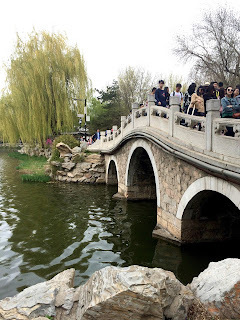 Seriously, when in China, do not order any kind of food that is not Chinese, because they don't really know how to cook other cuisines.Time to catch up on some sleep! I woke up around 8am to get ready. The western in-room breakfast was really expensive and very disappointing. Food in Russia was actually better! The high speed train from Beijing to Shenzhen departed from Beijing West Station. 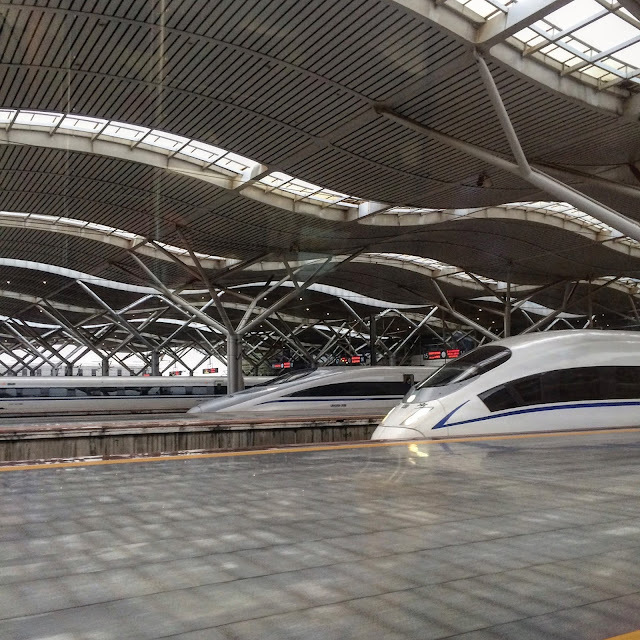 It was just as massive if not more as the Beijing main station. There were waiting rooms 1~15 and each with 4 exit doors for different tracks! There were trains leaving every minute and the display board was like the size of a tennis court. My train had 16 cars and probably around 100 seats in each car, and the train was packed full. There was no room for luggage. But fortunately I had a front seat so I had extra leg room to put my backpack. 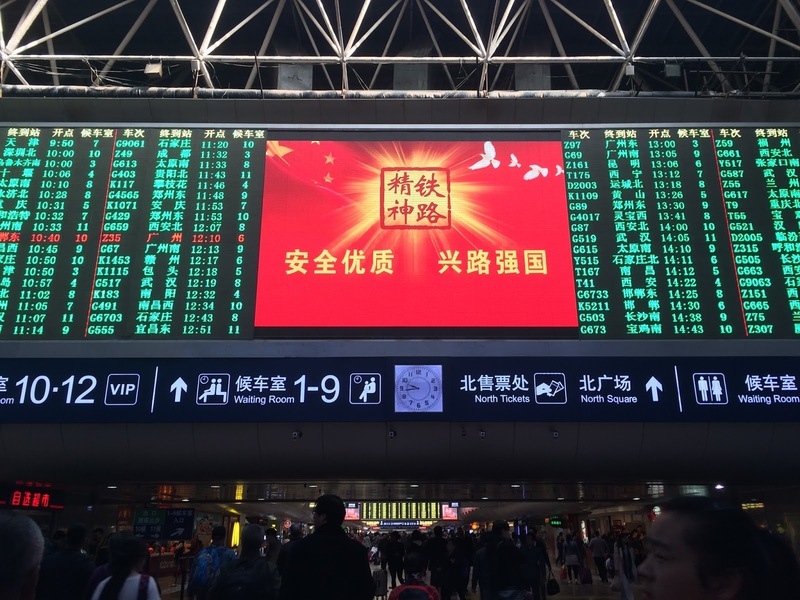 "Safe, high quality, build railroads, strengthen the Country"
The train announcement went on for maybe 15 or 20 minutes, welcoming passengers and also announcing all kind of rules. For example "if your kid is screaming you should bring them to the compartment in between trains to not disturb other passengers" and "Luggage should be stowed on top and not on the walkways" or "Smoking is prohibited even on the platforms. Each stop we make will be 3-5 mintues so do not leave the train unless it’s your final destination." 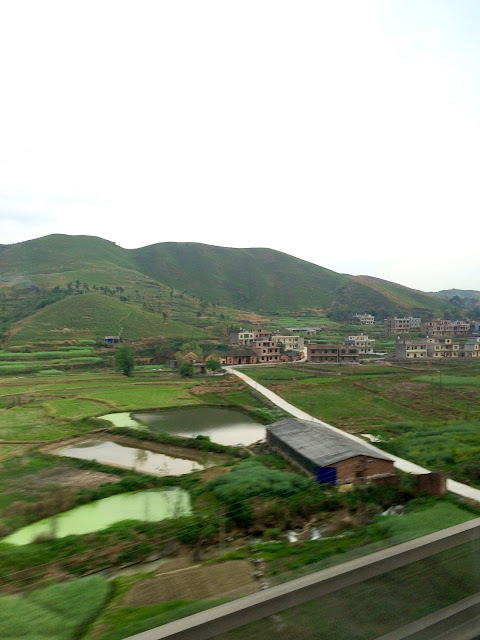 The scenery throughout the journey was beautiful, with rice fields, mountains and rivers. This high speed train is definitely an excellent way to see China. I completed my German class homework and finished the book I was halfway through. We passed by Hebei, Henan, Hubei, Hunan, and finally ended in Guangdong province. 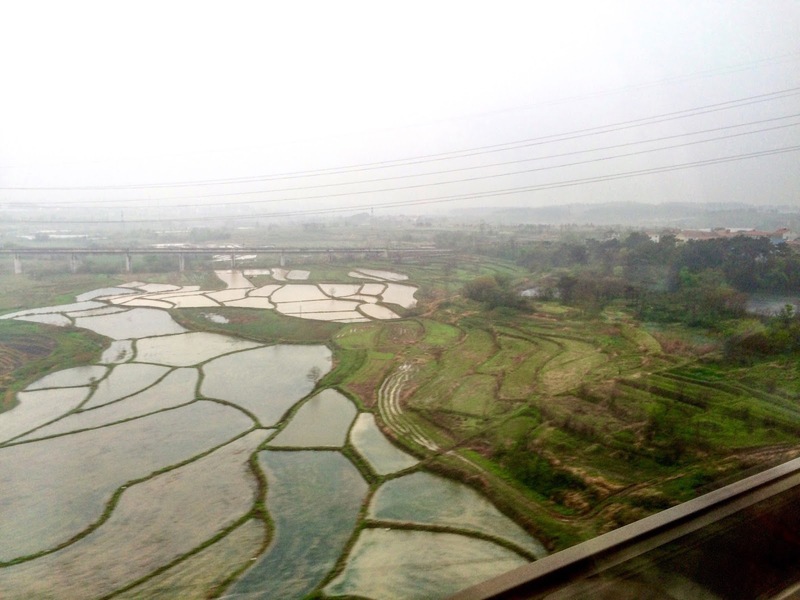 At Changsha, Hunan Province, the previous couple beside me got off and an elderly couple with their granddaughter got on the train. They had 2 buckets of duck eggs, and their granddaughter was eating chicken wings and fries. I was terrified because she was wiggling around the seat with her sticky hands while I was wearing bright white jeans. But she behaved okay and nothing happened. 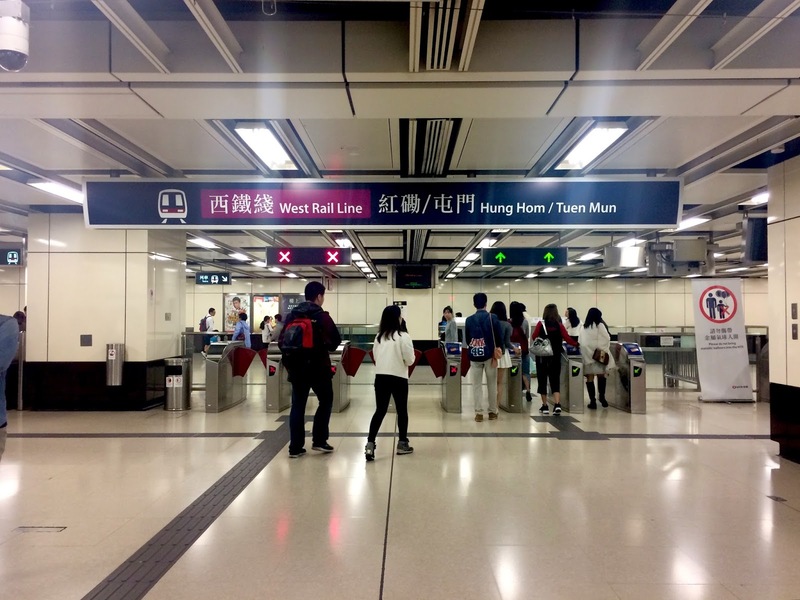 I got off at Guangzhou station and rushed for the subway. It took 1hr to get form Guangzhou South (high speed rail station) to Guangzhou East where the direct train into Hong Kong departed. I had enough time though, so I could even get some dinner and look around at the Guangzhou East station. It was also attached to a mall. 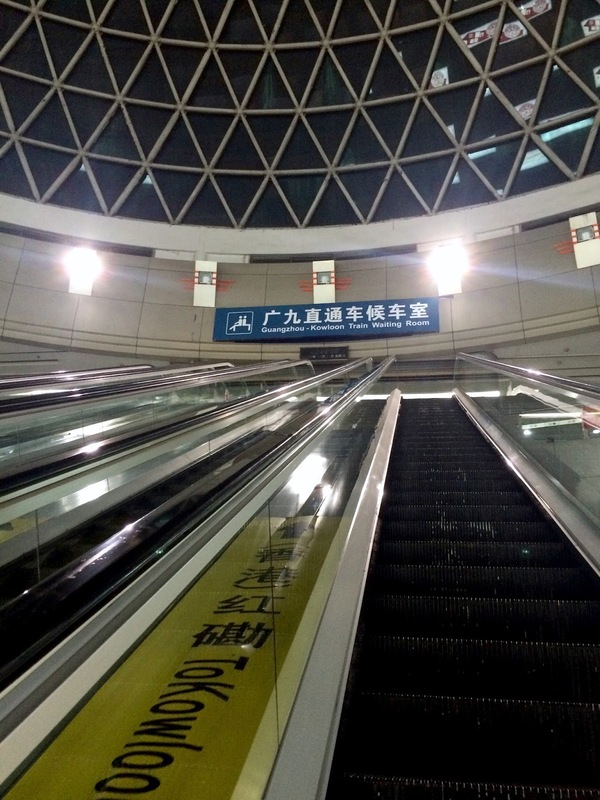 The GZ train station was a bit messy where directions are a bit unclear, it’s like a maze. 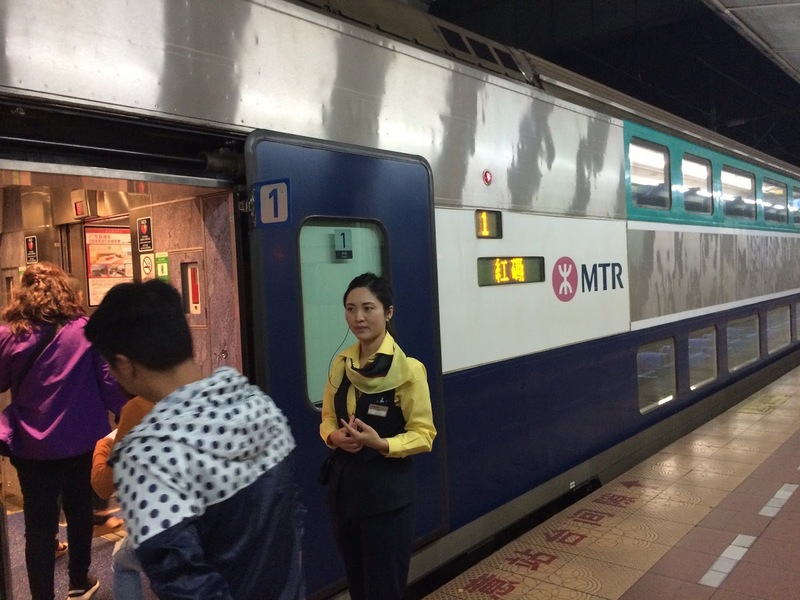 The HK trains were at the upper floor and long distance trains on the lower floors. 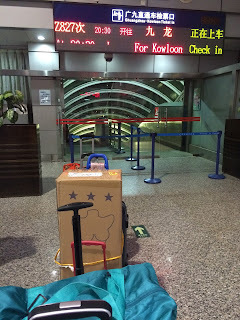 People “lined up” with their luggage (so Chinese) and sat down at the waiting area. First you wait till 20 minutes before departure and then they will let you through these gates for immigration. For HK passport holders or Taiwan Passport holders with the smart ID card, we can go through the e-gates which take seconds. It scans for your fingerprint and has face recognition. After that you go through security and then another gate just before the escalators down to the platform. They don’t allow you on the platform until 5minutes before departure, which is a big rush. I boarded the double-decker train to HK by the MTR company. It has ACs that blew polar winds. People were really quiet on board though which was good. 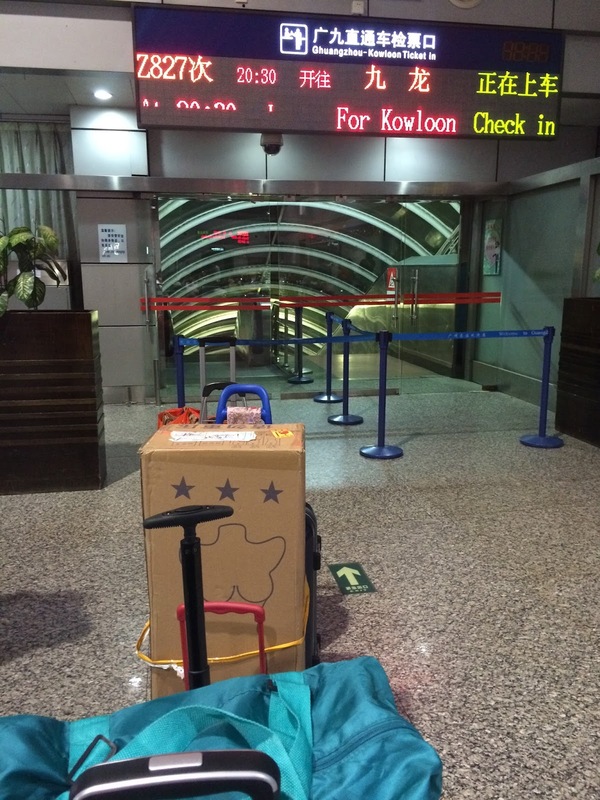 I finally arrive back in Hong Kong at 10:30pm at night. 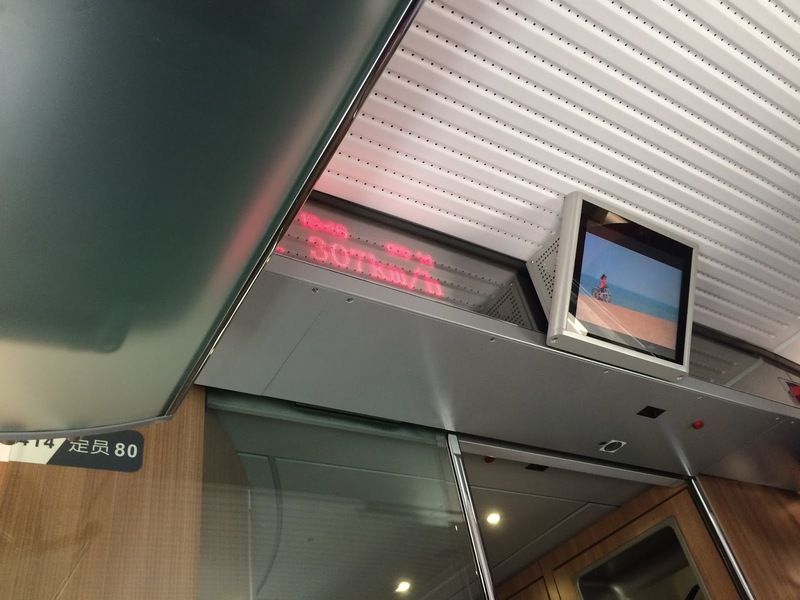 This is mark 10,265km, the end of my Trans-Siberian, trans Europe/Asia train journey. I thought I may be emotional, but all I was feeling was satisfaction. This is truly a journey of a lifetime, and it’s not that difficult to complete. You just need to be extra diligent with doing homework and looking into minor details beforehand. I joked with my friends saying they do not need to buy me back from a dodgy Russian bride website. The truth is, Russia is a delight to travel to. It’s safe, people are nice and polite, and it’s bursting with culture. I would jump back onto the train to experience this whole trip again. Home at last, this marks the end of the Trans Siberian journey. 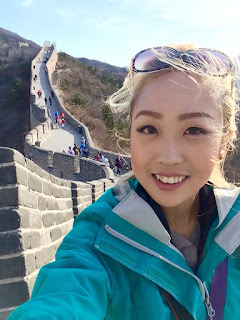 I've learned so much during this trip and I can proudly say that I, an Asian girl towering at 5 foot 2, has crossed Russia/Siberia, Mongolia and China alone. I made many friends and saw the breadth of nature and beauty of cultures I encountered. 1.Russia isn't as dangerous as they rumor it in movies and on TV. 2.Humans are nice at heart, and would lend a helping hand to a solo traveller. 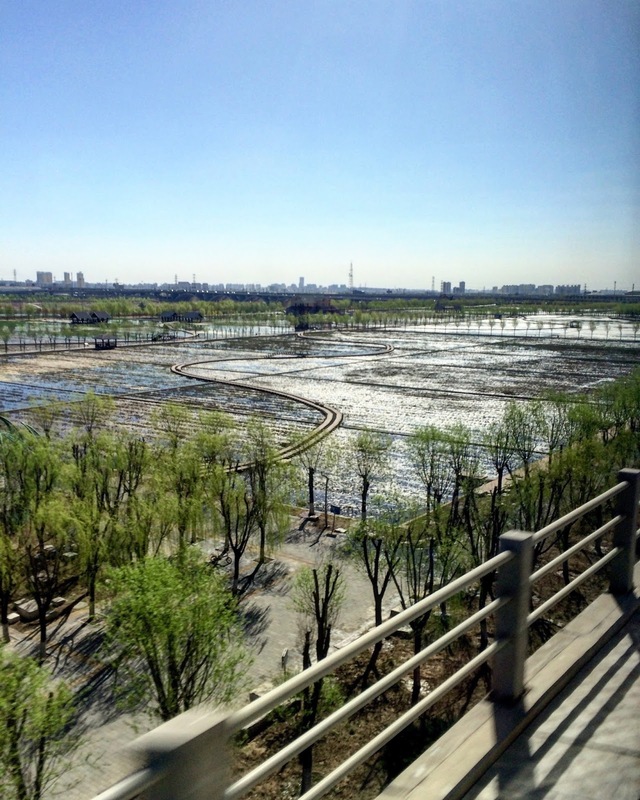 3.Travelling by train is the best way to see our planet. And by foot, the best way to see a town. 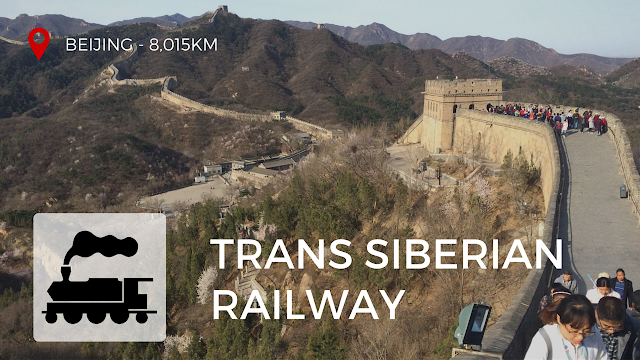 4.If you haven't been on the Trans Siberian, go now. It is truly the journey of a lifetime. Train all the way, get off at small Russian towns, learn their language, and don't be scared, you will only complete the trip feeling fulfilled; with memories to keep and endless stories to share. 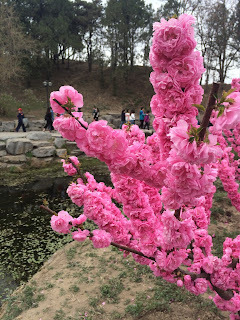 great great pics, writing and videos. I'm from Iowa City and you have inspired me to do this trip. Where in Iowa did you grow up?